LAST CHANCE, SUKKOS FOR $10!! Your entire Sukkos, for $10. Doesn’t get better than that. Imagine someone handing you gift certificates to stores all over town. Deluxe Panel Sukkah. Clothing. Silver. Awning. Car Rental. Daled Minim… Y’think you might find something to buy in this pre-Sukkos season?! 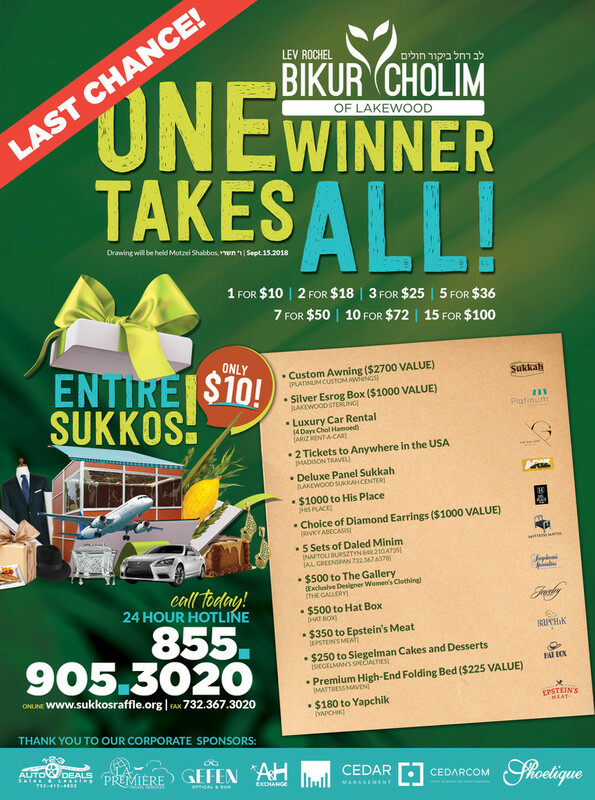 By clicking here to donate just $10 to Lev Rochel Bikur Cholim, you will purchase the opportunity to win BIG.